Ever wondered who earns more? In this article, we compare different people who made different career decisions. I compared their lifetime earnings with one another. And here’s the summary. 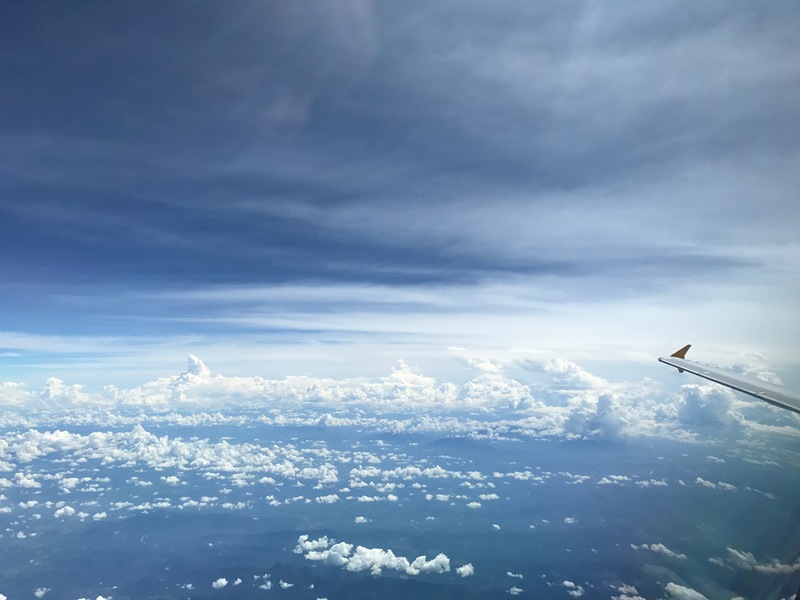 If money isn’t everything for you, and you just want to understand what the career looks like for an Airline Pilot, read this article. Read below for details of the math. So, here are the assumptions. Everything earned is kept in cash. Money that is made is not invested and does not grow. And we all know the power of compound interest. In fact, the RSAF pilots in all scenarios have a head up above the career low-cost carrier pilots, since the career pilots start off their career with a massive debt (of which we don’t count the opportunity cost and interest cost), and only catch up in cumulative earnings at the age of 35 years. In the meantime, a smart RSAF pilot would have already earned $1.2 million, and logically should have received a good return on investment from that salary. That growth is not represented in this. Typical Low-Cost Carrier Transition. For the sake of this comparison, we left out the RSAF – SIA career transition. We only looked at the typical Low-Cost Carrier Transition (such as Tiger Air and Jetstar Asia). RSAF pilots are assumed to pay for their own type rating and FAA Licence. Career LCC pilots are assumed to pay for their own CAAS CPL and type rating. Typical RSAF Career. I assumed a typical RSAF career. Farmer. Not scholar. Details are broken down below. The SAF’s retention and retirement tool, SAVERS, is considered and estimated at the time of leaving the RSAF. No salary increment in the airlines. While airline salaries are not expected to stay stagnant for the coming years, I assumed a 0% increment for airline salaries. As a career Air Force pilot, this individual starts his career in the RSAF as a pilot trainee at 19. This dude should earn $32,000 a year for the first 2 years while training. Upon graduation and achieving the wings at the age of 20, the RSAF pilot goes into the operational squadron for the conversion course and works as a Cat D pilot there after. This individual should get Cat B by 26. But life isn’t easy for this young pilot. He easily works 60-100 hours a week, but sees the bigger cause and works hard at work. At the age of 25, the Full SAVERS Vesting Bonus of $20,000 has been included in the annual salary at the age of 25. By 27, this individual should be earning a comfortable salary of $108,000 annually through the standard annual increments, increase in Cat allowance and LTA Grade 2. He realises that while work is really busy, somebody needs to be defending the nation. So he slogs on. At 28, this individual gets promoted to CPT. CPT grade 2 at 31. Major Grade 2 at 37. Retires from the RSAF at 45 with a lot of white hair caused by the years of overworking. Gets rewarded with a massive $800,000 tax-free SAVERS payout. This individual is so happy with his nest egg decides to chill and retire with a lifetime earning of $5,609,196.80. Time to spend that money in some business. Or that Porsche that he always wanted and live the rest of the life poor. This individual had the same career as the Career Air Force person. But at 45, he decides he wants to enjoy commercial flying. He gets his FAA ATP at 45 (read about how much it will cost), makes the transition to a Low-Cost Carrier as a Senior First Officer. During the first 6 months in the Airlines at age 46, this individual earns basic Senior FO salary for 6 months, becomes operational and earns the full salary with productivity for the next 6 months. After 5 years, appointed as an aircraft commander and continues earning till 65 years old, retiring happily after earning a massive $9,265,196.80. This RSAF Pilot decides enough is enough. He makes the switch early at the age of 32. He leaves the Air Force after the bond at age 32, begins his transition at 33. He spends money getting his FAA ATP and pays for his type rating, joins a low-cost Carrier as a Senior First Officer (read about how much the transition will cost here). He receives $6,000 from SAVERS which kinda helps (with nothing) for the transition. During the first 6 months in the Airlines at age 33, this individual earns basic Senior FO salary for 6 months, becomes operational and earns the full salary with productivity for the next 6 months. Continues his airline career and makes captain at 37. at 38 he starts to earn captain salary and continues on enjoying his new found relaxed lifestyle till the age of 65. Retires with a lifetime earning of $7,616,000. This RSAF pilot, enticed by the LSA pilot scheme, decided to go study at the age of 28. He needed a break because operational pilot life was draining his life away. During studies, school is fully sponsored, and he enjoys comfortable captain basic salary during school. Spends 4 years in university in exchange for a useless piece of a certificate. After returning from school at the age of 32 serves out the study bond and made the transition at 37. At 37, SAVERS pays about $200,000, helping this pilot pay for his FAA ATP and type rating. During the first 6 months in the Airlines at age 37, this individual earns basic Senior FO salary for 6 months, becomes operational and earns the full salary with productivity for the next 6 months. Makes aircraft captain at age 41 and continues the jet-setting lifestyle till 65. Retires with $7,375,000 and wonders why the hell he took up LSA in the first place. This individual paid for his own CAAS CPL, starting life in the red at $200,000. We assumed no opportunity cost or loan interest in this article. At 24, finds a job in an airline and starts as Junior First Officer. During the first 6 months in the Airlines at age 24, this individual earns basic Junior FO salary for 6 months, becomes operational and earns the full salary with productivity for the next 6 months. After working for 1-2 years, this individual gets his 1,500 hours and gets promoted to Senior First Officer. At a young age of 30, gets promoted to Aircraft captain and continues working till 65 in this airline. At the age of 65, retires after earning $7,960,000. Really enjoyed his entire life, begins to wonder why some people struggle through life. If you are from a rich family and really want to fly. Don’t join the airforce. Just pay for your own CAAS CPL. Read about your options. If you really want to fly a fighter. There are no guarantees, but you should join the air force, work hard in training, and hopefully get streamed to fly fighters. If you are sick of life in the Air Force. Leave early. Don’t take up LSA. If you want to take home the most in salary. Stay in the Air Force, join after you are retired from the Air Force. If your family cannot afford your CPL and you really want to be a commercial pilot. Join the air force. Don’t get tempted by LSA. Don’t get tempted by the Major promotion. Invest wisely your Air Force salary. You can easily invest and grow your salary and leave the force with $1,000,000 in liquid assets. Leave the moment you finish your air force bond. If your calling is to defend Singapore. Thank you for your service. Well, for the LCC pilot, you do not necessarily need to come from a rich family. You could do it on your own with a bank loan similar to a study loan. RHB and Maybank provides such loans only if you are offered an opportunity in the LCC. Well, it depends. If you decide you take the license independently then you would not be eligible for the loan. However, if you applied through Jetstar, Tiger or Scoot for their ab-initio cadet programme, the banks would recognize your potential employment and you would be eligible for the loan. All three airlines provide a CPL(IR) programme for the course. Good morning I am also from the saf although from army. it was awesome reading the entire article as I always wanted to know first hand how much does an airforce fighter pilot earn.as they are typically called the highest earners in saf. I am from the army so it’s an eye opener. 1)firstly I wanted to know what does the meaning of superscale mean in the military context of saf. I know that the mx9 is the superscale administrative service civil service rank. What rank does a superscale grade officer hold in the saf. Is it LTC or SLTC? what about warrant officers is there a superscale? 2) it’s interesting to know that rsaf website does not list any salary range beyond captain level. So the general public aspirants who wants to become a fighter pilot will find it hard to get such information. So very thankful for your blog although it would be good to include in your post, things like how much does each rank each grade earn . Eg.Like major grade 2 earns X amount.etc. how much does a superscale make etc. 3)does the amount of $5.609m above the gross salary or net salary (CPF employer and employee contribution) or is it just the take home pay of the airforce officer throughout his career from 19-45yo? 4) is the $5.609m indicative of what a farmer fighter pilot earns, but not what a helicopter or UAV pilot earns? In other words there could be discrepancies between the different units, aircrafts and squadrons which the pilot operates , that affects his overall salary? 5)would it be reasonable to say that a scholar pilot in rsaf who has a president or SAFMS OR SAFOS would be earning way higher than $5.609m? 6) lastly for the retirement age, u quoted 45yo. But most people would likely stay until 50 in saf? Regardless of army navy and airforce? Thanks and sorry for the long list of questions from a curious military man . ?